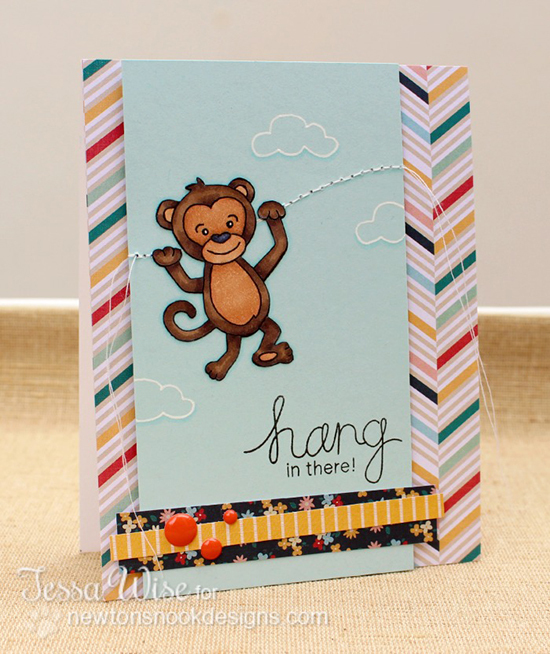 Check out this adorable card Tessa Wise created using that fun little monkey from the new Hanging Around stamp set! It's so cute how she created a line for the monkey by sewing across the card! Do you like to sew on cards? I always think it's so cute but I've never tried it myself. I also love the fun mix of pattern papers that Tessa used. What a fun card to encourage someone or cheer them up! Inky Paws Challenge - 1 day left to enter - ends Friday! 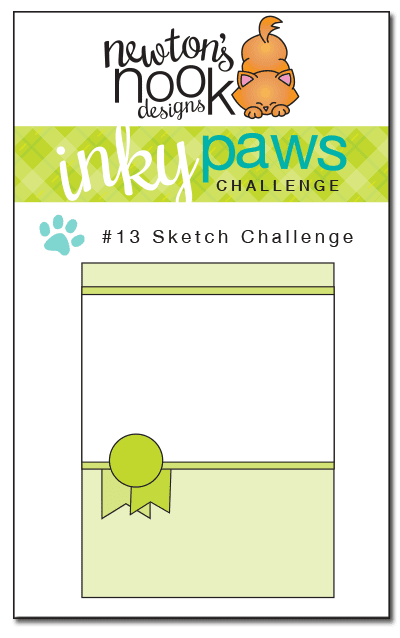 Our current Inky Paws Challenge ends TOMORROW! The current challenge is a SKETCH challenge! The winners of this challenge will get a $10 gift card to our shop! You can view full details and link up your card to our Inky Paws Challenge on this post. Cute card Tessa! Love how the little monkey is hanging off the stitching :)! Oh my - what a cheerful, spirit-lifting card! Whoever receives this is guaranteed to feel better...super charming! !